The trip to Colca Canyon consisted of travelling from Arequipa in Perú on day one, staying overnight at Chivay and then an early start to arrive at El Cruz del Cóndor at 08.30 on the second day. There were various stops along the way for fotos etc. We had a 06.30 start on day 2 with a couple of stops on the way to the viewing point for the condors. We only had one hour to get pictures and sadly, for some people, the condors don´t always oblige. 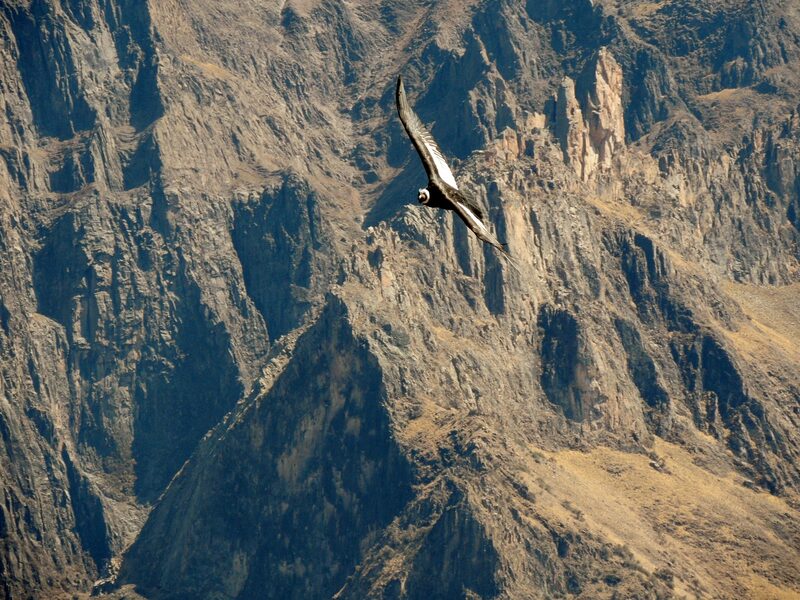 I was fortunate, I got my first sight of a condor almost immediately followed quickly by another. I then had to wait another half an hour before 2 more came soaring past. I did see 2 more before leaving but they were too far away to get pictures of them. However, I counted myself as being very fortunate. This entry was posted in Recent Activity and tagged adventure, Arequipa, Chivay, Colca Canyon, Condor, El Cruz del Cóndor, nature photos, Peru, photographs, South America, South American Adventure, Travel blog, travel experience, Travel photos. Bookmark the permalink. Birds are nice but Condors are awesome, Toni.